It is carnival time in Brazil again, when parades are held around the country. Here comedian Sabrina Sato performs during the parade of the Gavioes da Fiel samba school in Sao Paulo. 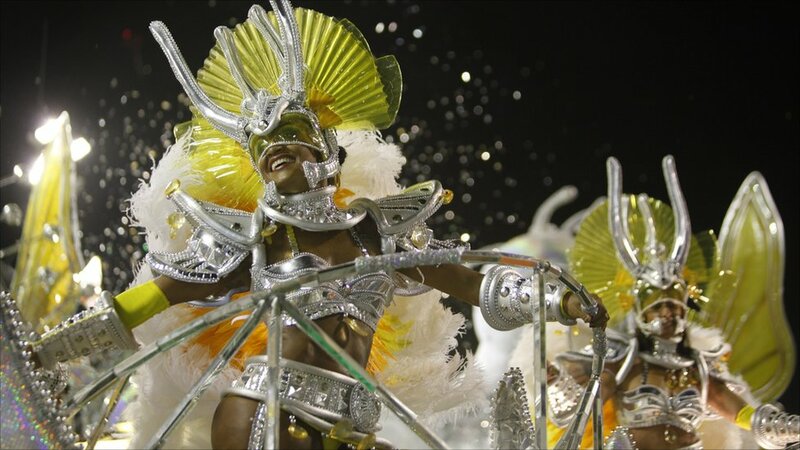 Samba schools compete with each other at spectacular parades in special stadia known as sambadromes. 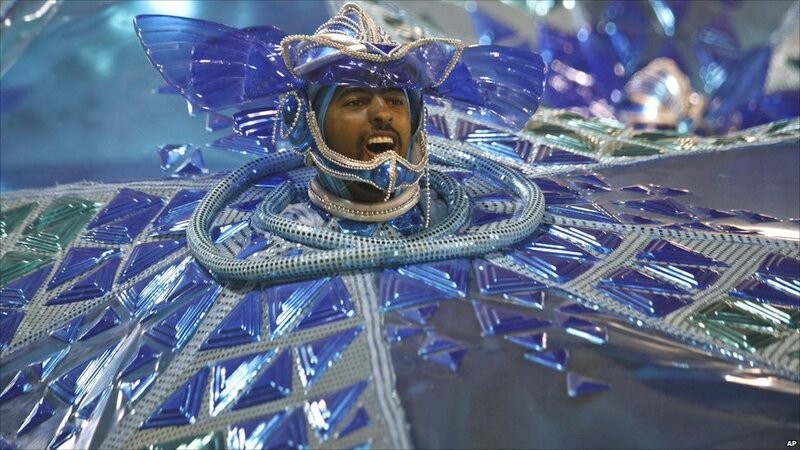 Here a member of the Mocidade Alegre samba school performs in the parade in Sao Paulo. A fire that destroyed the costumes of many of Rio de Janeiro's samba schools did little to dampen enthusiasm in the city. Dancers perform on a Sao Clemente samba school float during a parade at the Sambadrome. Another performer of the Sao Clemente samba school in Rio. 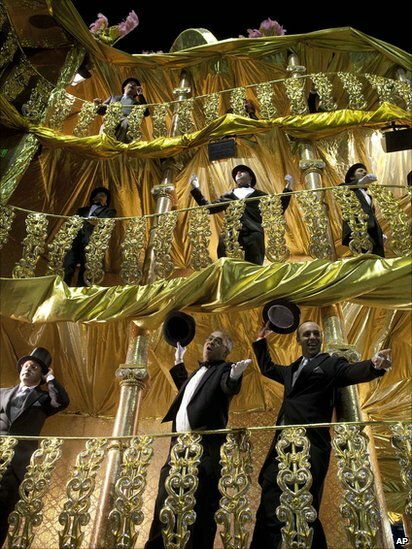 Elaborate multi-tiered floats feature in the parades such as this one carrying top-hatted men from the Vila Maria samba school in Sao Paulo. 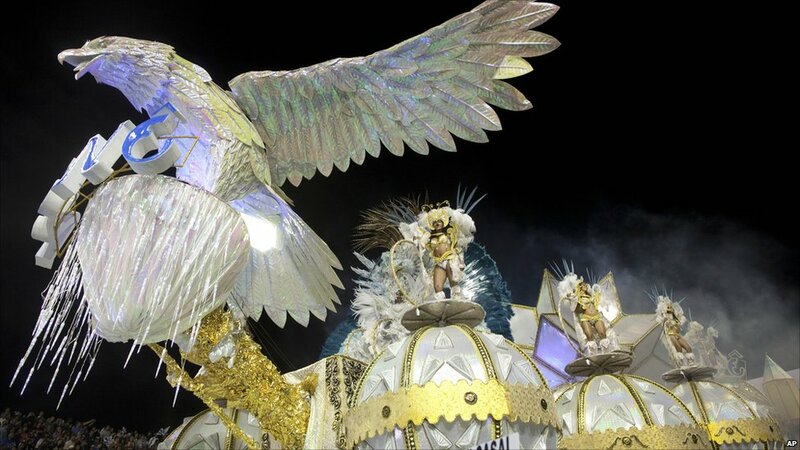 Colossal effort goes into designing the parades such as this one by the Nene de Vila Matilde samba school in Sao Paulo on Saturday. Different regions of Brazil have their own carnival traditions. 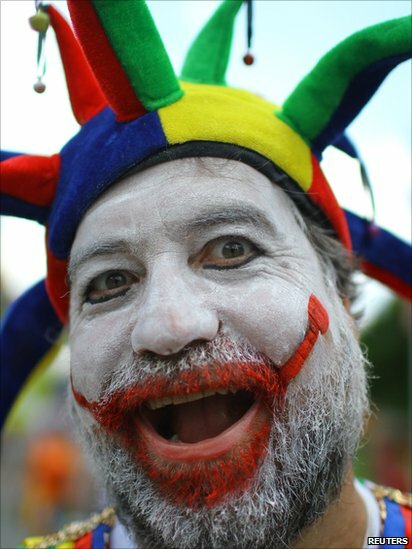 This man painted as a jester in the northern city of Recife is taking part in a giant morning parade known as the Galo da Madrugada (Rooster of the Morning). 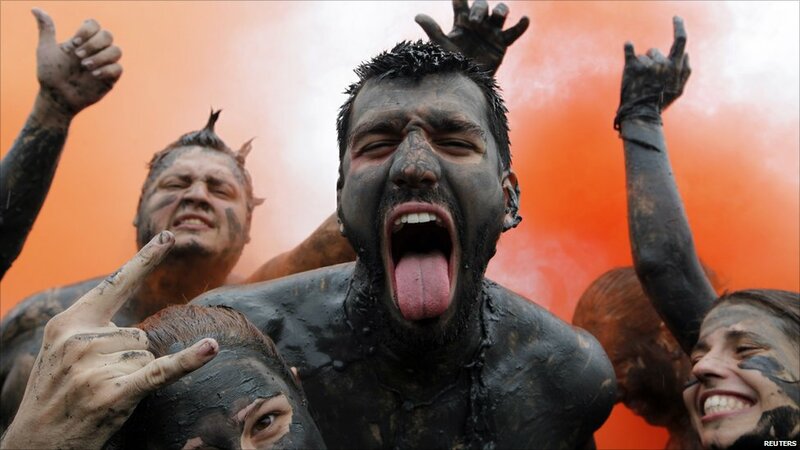 In the city of Paraty, revellers like these members of the "Bloco da Lama" (Block of Mud) group dress up as cavemen, cover themselves with mud and parade through the streets. 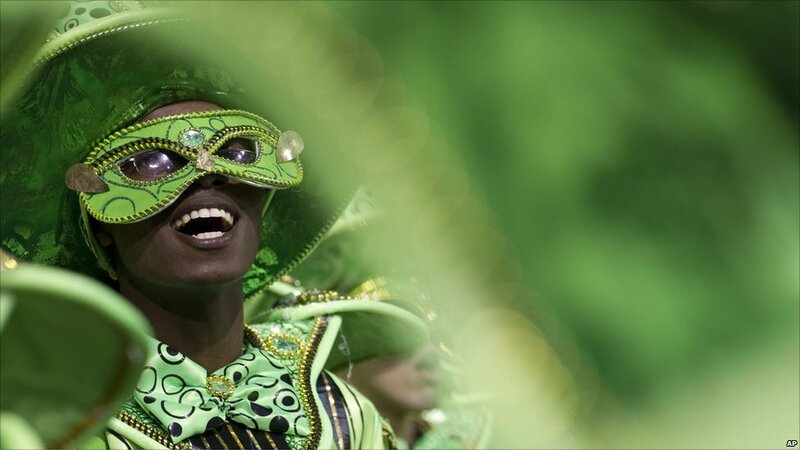 But for the outside world, carnival in Brazil usually means one city only, Rio de Janeiro. Here revellers touch up their make-up during an annual Rio street party known as the "Banda de Ipanema". The weekend has seen fancy-dress street parties in Rio. 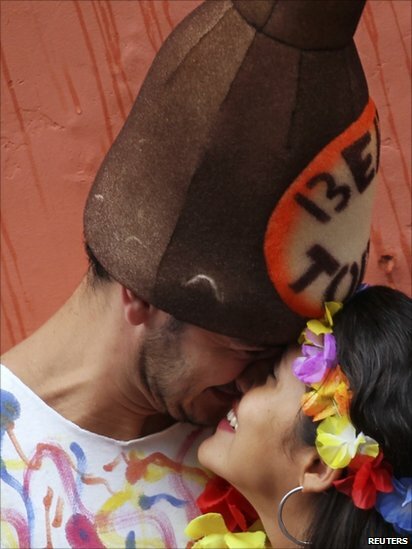 Here revellers kiss in the Ceu na Terra district, ahead of the famous parades at the city's sambadrome.